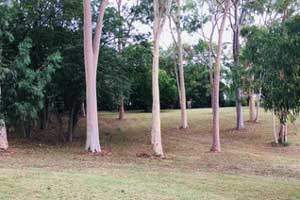 “Under the trees”,(next to tennis court), Balcombe Heights Estate, 92 Seven Hills Road , Baulkham Hills. Balcombe Heights Estate offers a wonderful Australian backdrop to any intimate wedding. 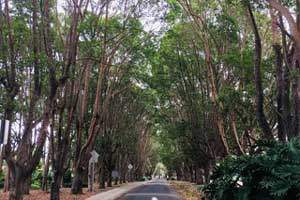 Hundreds of photo spots with a stunning avenue of Brush Box Trees and Gum Trees as your backdrop. The Estates also provides shaded and private areas. Balcombe Heights Estate is conveniently located off Seven Hills Road (near the M2/M7). Upon entering the Balcombe Heights Estate, drive approx. 300 meters, turn right, through the car park and then left onto Memorial Avenue of Trees, drive a further 500 meters and the Tennis Courts will be on your right. Parking is plentiful on your left just past the Tennis Courts. 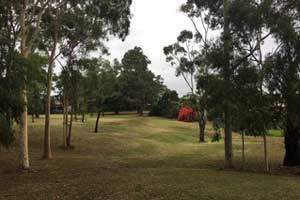 Balcombe Heights Estate is part of Hills Shire Council. 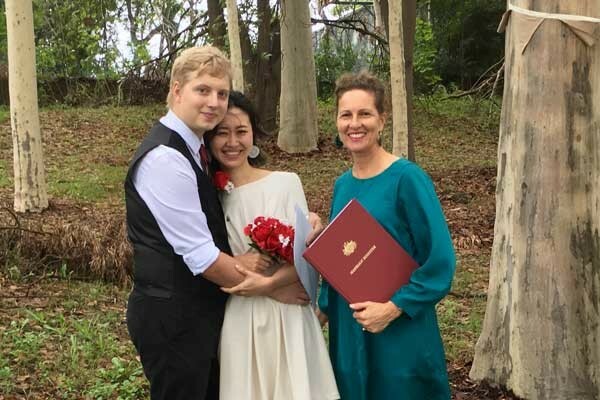 Generously, Hills Shire permits small marriage ceremonies to take place in their park without the requirement to reserve or pay for the use of the park. We will provide a small table for you to stand at and sign your Certificate of Marriage, after your ceremony. Keeping in mind, the actual ceremony will only last about 15 minutes so we don't provide chairs. You are free to set up your own chairs & decorations, if you like.